540-WM MidWest Wire Mesh Top will fit any of our exercise play pens, when the exercise pens are placed in a square configuration. 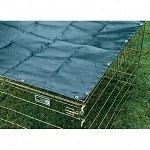 The Wire Mesh Top is secured to the exercise pen with 8 Metal Bolt Snaps (included). 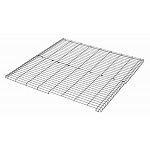 The Midwest Wire Mesh Top is made with strong 9 and 11 Gauge Metal and is Black E-Coat Finish to make it long lasting. The edges are contoured to 90 degrees for a secure fit, and has a 1 1/2 inch spacing. 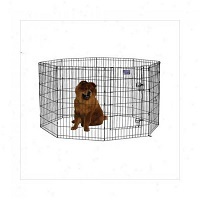 The Wire Mesh Top is effective in keeping larger debris out of the exercise pen, but serves its best purpose in keeping your pet in the exercise pen, while also keeping intruders out of the exercise pen. Open and Close the Door Without Removing the Top!